The FitNest's 6 Week Fitness Challenge is an immersive 6 week online fitness program designed to help you kick-start your journey to a healthier you. Are you eager to get healthy and fit, but just don’t know where to start? Are you ready to (finally) make yourself and your health and fitness a priority? Wouldn’t you love to look and feel lighter & leaner in just 6 weeks? Ever wished that you could have me as your very own Personal Trainer? Do you want to be a part of an exclusive community of amazing women that encourages and supports one another? No more guessing. I’ll show you EXACTLY what you need to do to get results! ✔ Full-length daily workout videos sent directly to your inbox. We'll be doing 25-35 minute full-body workouts each day (5 days a week). ✔ Total beginner? Have exercise/range of motion limitations? Don’t worry, I’ve got you covered. I'll provide easy to follow modifications for each move/workout, so you'll be able to keep u, no matter where you are starting from. ✔ A Meal Guide that will outline exactly what to eat, how to prepare it, and when to eat it. We'll take all the guess work out of what/when to eat. ✔ 50+ recipes that you & your kids will absolutely love,including breakfast, lunch, dinners and snacks. ✔ A Clean Eating Grocery List that will help make grocery shopping a breeze and let you create your own yummy creations. * Exclusive Access to our Private Facebook Group where you'll get all sorts of extra content such as regular Q+A's and weekly FB Lives, as well as bonus recipes and health & fitness tips. * You'll also find inspiration from an amazing network of motivated ladies. Share questions, challenges, and inspiration on the message board. You'll find encouragement and accountability just like you would as if you were in one of my boot camp classes. * Full access to me! I’ll be there to answer all of your questions, help keep you motivated and celebrate your successes! I'm totally committed to helping you get the best results possible and feel your best! Zehra’s 6 Week Challenge is the jumpstart you need no matter where you currently sit on the health and wellness spectrum! What sets her program apart from other at home workout programs is her deep and heartfelt genuineness to want you to succeed. She stays with you, by your side from the moment you start to the moment you cross the finish line. By no stretch of the imagination was I “fit” before I started. I exercised infrequently and ate moderately well. But through her coaching and private Facebook group, a beautiful network of sisterhood, love, support and encouragement pushed you to be accountable and follow through with the workout and meals. I’ve left feeling empowered, strong and above all, motivated to continue making better choices for myself and my family! Just completed the 6-week challenge and feeling powerful! This set of exercise videos is challenging, yet her detail makes it fun and easy to follow along. Zehra’s fitness style is so contagious and motivating! The videos are short enough to fit into my busy day! My biggest struggle is food! Zehra’s amazing recipes are healthy, delicious and keep you satisfied. I would recommend this program to anyone that wants a more consistently active and healthy lifestyle. 6 week challenge results: 10 pounds and 13 inches shredded!! If you are ready to take charge of your health and wellness, build strength, stamina and muscle tone, then this is the programme for you!! 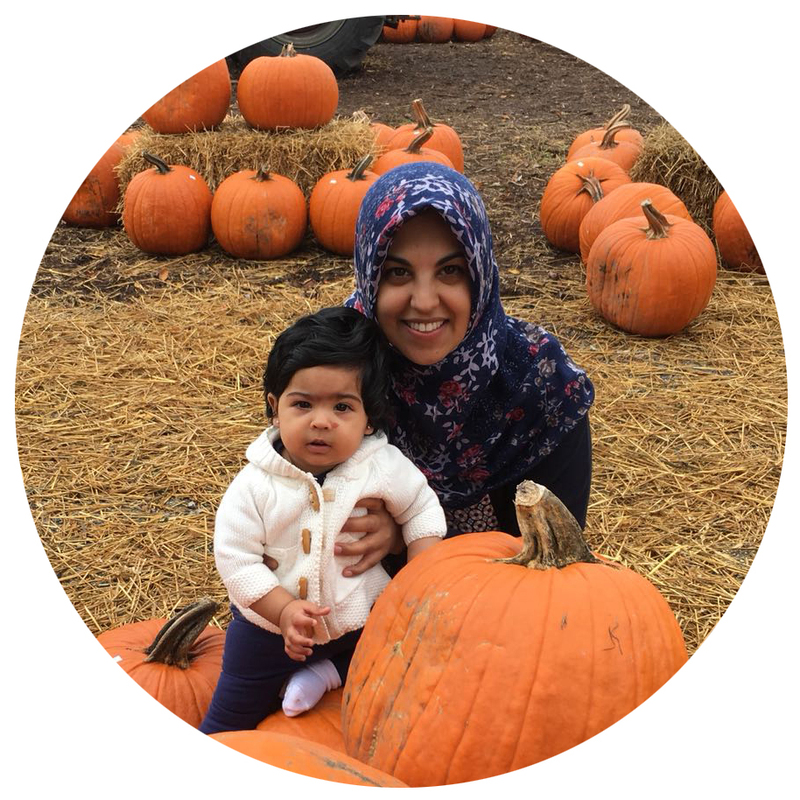 As a mom of two beautiful souls, Zehra is aware of the time constraints faced by busy, working moms. She has introduced a 6 week program that is efficient and challenging, where no workout is longer than 35 min and she up's the game every week! She pushes you to find your inner " Zehra Allibhai."!! It was a wonderful 6 weeks, being part of a tribe of, strong inspirational women lead by Zehra,who supports you through personal facebook posts,everyday! The best way to accomplish your goals is to have a strategy and a support group. With this challenge you'll get both. After you purchase the challenge, you will receive your Welcome Package, Meal Guide, Exercise Guide, and Activity Tracker right away. Starting February 4th, you'll receive an email at the start of every week containing the workouts for that week. Each workout will include a warm up and a high-intensity workout that you can complete at home. 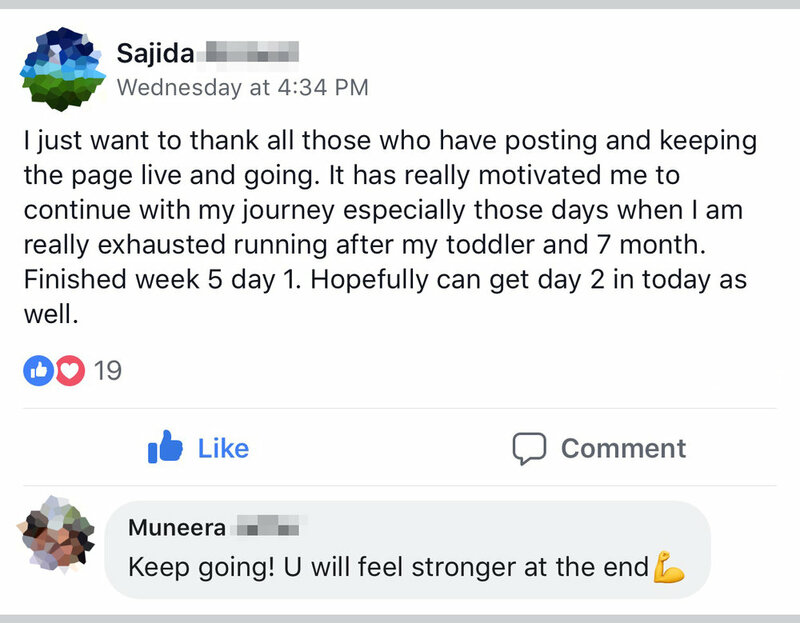 Check-in with the private Facebook group for Live Q&A's with Zehra, sharing your progress, asking questions or tuning in for daily motivation. Basically the definition of #SquadGoals. Trust me, this is a game changer!! This program will give you all the tools, guidance and support you need to KICK-START your fitness journey to becoming a healthier version of yourself in just 6 weeks. ✔ Busy moms who want a simple and effective fitness program that won't take up all your free time. ✔ Anyone who wants to learn how to eat right, learn how to deal with sugar cravings and eat the right foods to fuel your body. ✔ Someone who wants to make sure you’re doing the right exercises for the best results, without any more guesswork. ✔ Someone who's new to fitness and is overwhelmed by all of the information out there, and wants a step by step guide that's fun & easy to follow. ✔ Someone who's been working out for a little while but just haven't been seeing or feeling the results you want. ✔ Remember I’ll be there every step of the way. I’ll be providing you with full length workout videos and show you the proper form and technique and MOTIVATION you to keep going!